Vietnam is an incredible country to visit. It has all the mystery of Southeast Asia, the familiarity that comes from its colonial history and the scars and stories of a hard-fought war. If you want to go on a holiday to Vietnam make sure you catch its history and incredible natural beauty. There are two ways to look at how to choose the best Vietnam tour. The first is to consider what you’re getting for your money when you book to go on a holiday to Vietnam. There are huge variations in prices, but also in the quality of the package you get. Smart travellers, or those visiting the region for the first time, usually appreciate an all-inclusive package that takes the stress out of holiday planning. Choose well and you can get a deal which covers all of your international airfares, all of your domestic transportation, departure taxes and current fuel surcharges. A good tour operator will also deal with all of your accommodation, visa fees, meals and any entrance fees, guides and daily tours. The second consideration when choosing a great tour of Vietnam is exactly where your guides will take you. Vietnam is a country of extremes so choose carefully and you can get the perfect experience for your tastes. Going to Hanoi is an amazing experience for the senses. It has 1,000 years of history to enjoy as you soak in the echoes of its position as the seat of Vietnam’s imperial power. Motorbikes and traders buzz through the streets and there’s lights, smells and curiosities that will keep your mind aflame and your feet on the move. The Old Quarter should be on everyone’s list to see at least once in their lives – it’s full of ancient, narrow streets and there’s gorgeous street food wherever you turn. The Cu Chi tunnels are a poignant flashback to Vietnam’s history of conflict. The tunnels of Củ Chi run forward and back across a huge area underneath Ho Chi Minh City (Saigon) and form part of a much larger network of underground pathways. These passages were the core of military campaigns during the Vietnam War and served as an important base for the Viet Cong. Be prepared to get muddy as you walk in their shoes and experience the trails yourself. The Mekong River is part of the lifeblood of Vietnam and is a green and luscious location for a tour stop. It’s a treasure trove of life and photo opportunities and there are still unique animal species being discovered in its flora, fauna and expanses of water. You can take a boat trip, or jungle hike, through its orchards and rice paddies and see the industry that produces one-third of the country’s food. This is just a taste of Vietnam’s delights. There’s still the wonders of the temples at Angkor, the rice terraces of Sapa, and the stunning vistas of Halong Bay. Choose wisely and Vietnam can be the best trip you’ve ever taken. Heading out on an adventure to a far flung country can be exciting and a bit terrifying if you’re going solo, especially if you’re a woman. It can be dangerous out there in the wider world for women travelling alone, and in some places women on their own is significantly looked down upon or an invitation for unwanted attention. This isn’t the case everywhere though and some places like South East Asia are actually ideal places for women to travel solo, due to its fantastic connections to other areas and also the laid back atmosphere which is great for meeting other fellow travellers – something that happens almost seamlessly if you’re travelling solo. Check out the rest of this article for the woman’s solo guide to Vietnam. Depending how you want to start your trip, the most likely city you will fly into is either Hanoi or Ho Chi Minh (Saigon). Additionally, depending how you’re getting into Vietnam it’s likely you’d start in either of these cities – Hanoi to the north, perfectly located for those coming from China or northern Laos, and Ho Chi Minh to the south, ideal for those coming from Cambodia and the Philippines or Malaysia. Most people would probably come from the south, so this is how we will approach it. 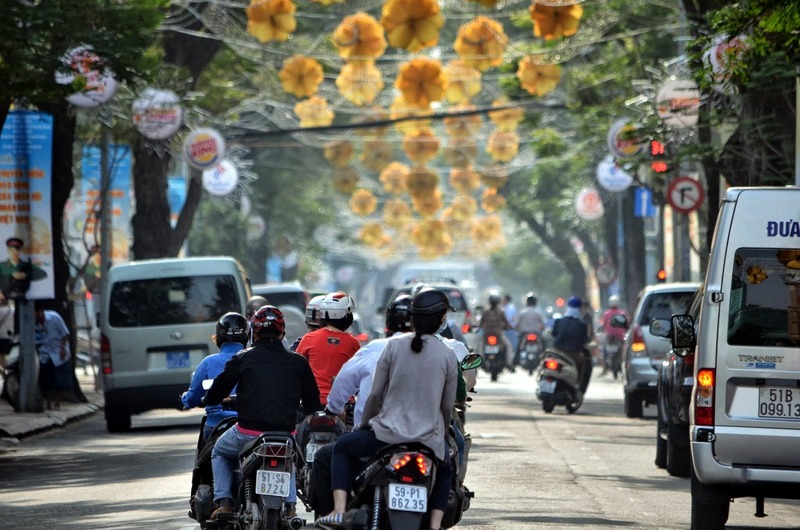 Ho Chi Minh is a great place to start off, it’s a bustling, busy city but no more than Bangkok or other cities in the area, which means it’s easy to get around and renting a scooter for yourself is probably one of the best ways to do this. Likewise, motorcycle taxis are popular – literally a scooter or motorbike you hop on the back with to go to your destination (not advisable with all of your bags, but still doable). Stick with a regular taxi if you’re carrying a lot of bags. If you’re looking for some secluded island life, Ho Chi Minh offers ferries to a lesser known Vietnamese island of Con Dao – a small clump of islands off the south coast which boasts luxury and budget places. This is likely to be off the tourist trail by quite a bit, so it’s worth checking out if you want something off the beaten trail, quiet and pristine. Ho Chi Minh is a great city to get lost in – it’s got a large collection of fantastic buildings, museums and boasts some great “foodie tours” – literally a walking tour you can join that takes you around to some of the street stalls selling delicious Vietnamese cuisine. Don’t miss the fresh spring rolls! Da Lat is a small city a bit further north and slightly inland – it’s on the tourist trail, so you won’t be able to miss it, unless you choose to. It’s home to the “Crazy House” – literally a guest house made out of a tree house and other strange building, and acts as an art installation by day that welcomes visitors to have a poke around. Da Lat is a beautiful city, with a lake right in its centre and is significantly more laid back than Hanoi or Ho Chi Minh city. It’s a place that travellers like to stop off at to relax for a day or two before hitting the road towards Hoi An and Da Nang, so you will likely run into other travellers at some of the local bars and hangouts. Heading further toward the coast you will find the smaller, beautiful coastal centres of Hoi An and Da Nang. It’s likely that you will want to stop off before Hoi An if you’re driving yourself – perhaps in the smaller centres of Qui Nhom or Tuy Hoa – both around five to seven hours drive from Da Lat. Regardless of how you do it, Hoi An and Da Nang are two places that command a few days on any journey through Vietnam. Hoi An particularly is a beautiful coastal stop, and is fast becoming the “it” place for travellers of all kinds. You will likewise find a number of expats here who have fallen in love with it and chosen to stay to teach English and the like. Maybe you will, too! Hanoi is in the very north of the country and is the next logical main stop after Da Nang and Hoi An. It’s a bustling, busy city, similar to Ho Chi Minh. 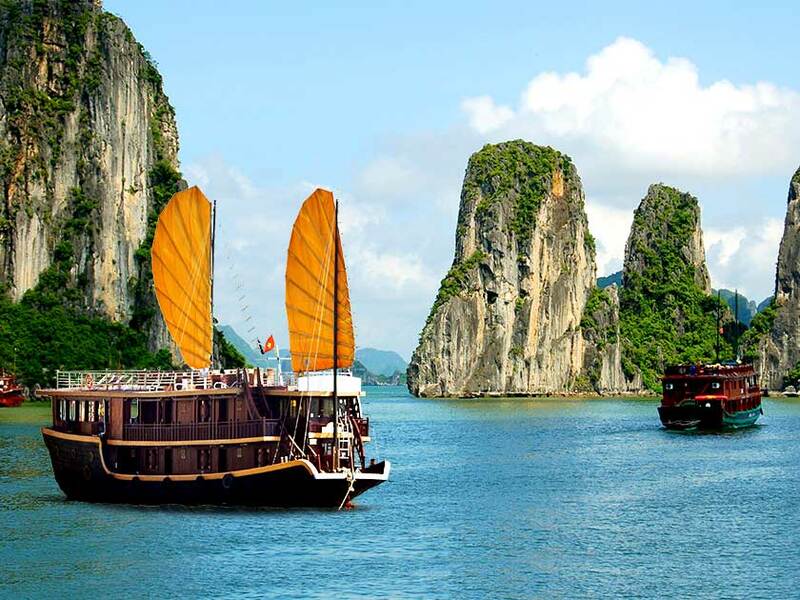 From Hanoi it’s possible to head to a number of other locations (China, Laos), and also to do tours of Halong Bay. Tours can involve a cruise over the course of a few days, or just a couple hours around the bay, it just depends on your budget and what you’re looking for. From Hanoi, instead of having to go back to Ho Chi Minh City, it’s possible to get flights onward either to return home or to head to other further away locales in places like Malaysia, India, China, Philippines, etc so make sure you look into the possibility of flying out of Hanoi or heading onwards from there or flying back to Ho Chi Minh on one of the local airlines that would make it fairly cheap, depending on how much time you have. So there you have a great travel guide to Vietnam for women. Vietnam is a great place for solo female travellers – it’s interesting, safe and welcoming and is a hot spot for travellers and tourists that you can meet and enjoy the company of. Always remember to exercise common sense and general safety such as not accepting drinks from strangers or leaving drinks unattended. By following your own code of safe conduct but being open minded and open to new experiences and meeting great new people, you will surely have the most amazing time on your own in Vietnam.